LilliAnna is a 6 year old spayed female Pot bellied pig. I adopted her 5.5 years ago from people who were moving to town limits and couldn’t take her. 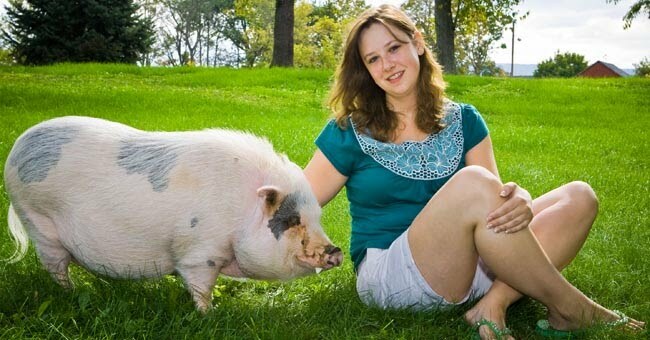 She is very sweet to me, rolling over for belly rubs and scratches, but tends to bite anyone else…Her and Sammi are good friends, you can find him napping beside her in the straw on a sunny afternoon. She lives outdoors in a “summer home” while it’s warm, but becomes a house pig and resides in the attached garage when it’s cold and/or snowy. She does not like snow! She is on a strict diet of low-fat piggy pellets to keep her girlish figure (She’s pushing 100 lbs), but will eat anything but radishes and beets…I don’t blame her! Austin is a 7 year old neutered male Dachshund that I adopted from Dachshund Rescue of North America almost 2 years ago. He originally lived with a family in NC, but he slipped a disk in his back and became paralyzed. His family was unable to care for him with a disability and rescue was able to take him to a foster in VA. He lived with his foster mom for a year before I adopted him. He uses a cart to run in outside and we’ve managed his disability with various aides like diapers and the Protect-A-Pet sak the keep him clean and dry and free of rug burn. He loves to play ball, bark at the neighbors and pull all the stuffing out of his “babies”. He is definitely full of life and could care less his back legs don’t work. Sugar and Spice are 2 female Sugar Gliders I received as a gift last year for my birthday. Sugar is an adult, somewhere between 5-7 years old and Spice is 3. They are very cute and fun to watch. They love to eat mealworms out of your hand, but will take a flying leap and land on your face if you don’t turn your head! 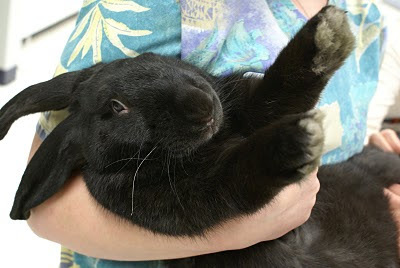 Andre is a 1 year old black male Flemish Giant that came from another family that was moving and couldn’t keep him. He is a big bun at 12 lbs but a total sweetheart. He is the newest addition, adopted a few weeks ago. He’ll climb into your lap to be petted and lets you hold him (trance him) like a baby. He enjoys playing with the dog too. When my fiancée Josh moved in, he also brought fish tanks. We currently have a 20 gallon saltwater tank w/ a Damsel fish and live rock and a 55 gallon freshwater tank with a breeding pair of cichlids, their 3 offspring, an orange unrelated cichlid, a random catfish, and a Gourami. Whew! So that’s the history on our clan. This entry was posted in Jen, rescued pets on May 25, 2010 by yourfriends. Let’s start with the cats. I will keep this as concise as possible. My cats are my passion and I could write volumes about them, about us, but I’ll spare you the cat loving dribble. Butters- 6 year old neutered male longhaired orange tabby. He is the newest cat and the one I thought may never get adjusted to a multi-cat household (that’s professional speak for owned by the Crazy Cat Lady- a title I happily wear) I offered to adopt him from Stacy, another tech here at Kingsbrook, when he redirected his aggression towards her other 3 cats (even though he’d grown up with them). The addition of 2 new baby humans and busy schedules seemed to be too much for this giant (he is huge!). But by relocating him, the other cats “put him in his place”, literally, as the hierarchy shifted and he was no longer dominate. He socializes well now with the other cats and allows me to pet him (on his terms). He is the most independent resident we have. Ferdinand Magellan- 7ish neutered male longhaired tabby. He was a foster cat from the humane society that never left. I officially adopted him 3 years ago. When I got him, he had no hair, was emaciated and covered in fleas. He was neutered and wore a flea collar though! He was a stray, from the rough part of town, but was as affectionate and clingy as they get. From the moment I brought him home, he never left my side and has befriended ever cat he’s ever met. He’s also been the nurse-maid to 3 litters of kittens I’ve raised (cleans them, sleeps with them). He is the peace-maker at home and grooms the other cats. JJ- 2 year old neutered male shorthaired tabby- I found him while I lived in NW PA, on my way to work in a snow storm (it snowed a lot up there). He was only about 7 weeks old, crossing the road in front of the Sheetz gas station, hence his original name. He was adopted by a lady I worked with for her elderly mother, whom passed a year ago, and JJ came back to live with me(with a few bad habits like eating bread through the bag and counter surfing). He is the most agile and energetic, next to Pirate Fox. Johnnie Cotton- 4 year old neutered male longhaired white and tabby- Another PA transplant, I think he wandered down the street from the dairy farm close to my previous house. I found him mewing loudly in the bushes during a thunder-storm. He was about 8 weeks old and so cute! Johnnie is passive but not easily intimidated. Pirate Fox- 2 year old neutered male longhaired orange tabby- He is Butters “Mini-Me”- he looks just like him in miniature form (His legs are unusually short and stumpy)! I adopted him 1.5 years ago from Promise Animal League, a rescue I work closely with. He is wild and crazy and totally hilarious most of the time. Sammi- 12 year old neutered male white shorthair- He was rescued 3 years ago from a previous owner who was unable to keep him because she was moving to a retirement home. He lived with her as an only cat for 10 years and still screams if another cat gets within his personal space. He sleeps beside by head, laying on my arm, every night. Willow Marie- 7 year old spayed female Sphynx- the only cat I’ve ever bought from a breeder! I got her 4 years ago from a breeder in TN, who was selling her as a queen (breeding female). I did breed her once; she had 4 babies, and was spayed shortly after. She sleeps under the covers in bed all day, coming out periodically to nibble at her dry food and use the facilities. She has a small duffle bag full of kitty contour and enjoys weekly bathes and outfit changes. She sleeps on the other side on my head every night. This entry was posted in Jen, rescued pets on May 22, 2010 by yourfriends. 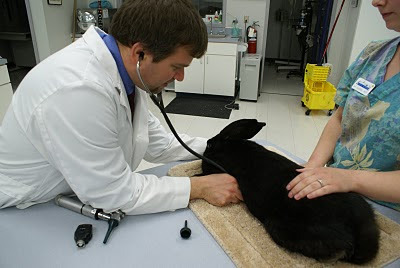 When I meet someone new for the first time, we exchange pleasantries and then they ask “What do you do?” I smile and say “I’m a vet tech, like a nurse for animals”. Then they say “Oh, I could never do that! The blood and surgery and then it’s so sad when they have to be put to sleep”. And I reply, “Yes, it is sad but we make it as comfortable as possible”. The next question they ask me is “How many pets do you have?” Ah, the loaded question…I don’t like to quantify, mostly ‘cause people stare at me like I’m crazy if I say 11 plus fish… So I begin to rattle off the list and make them do the counting. 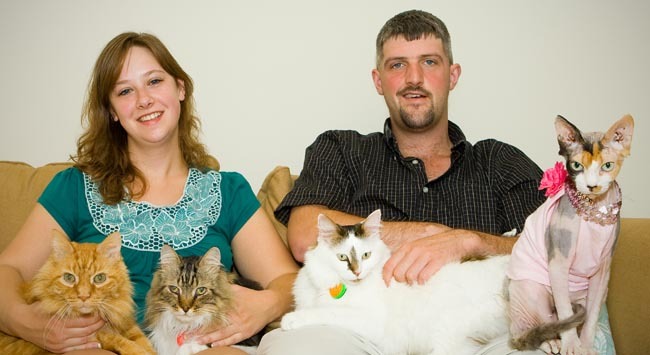 “I have 7 cats, a dachshund, a pot bellied pig, 2 sugar gliders, a Flemish Giant bunny and a handful of fish”. They still stare at me in disbelief (or horror). I smile and add “One of the cats is a Sphynx, a hairless cat like from the “Austin Powers” movies and my Doxie is paralyzed and uses a cart to get around. Then people usually laugh because they think I’m joking. They stop when they see I’m not. The animal lovers ask about how/where I acquired each one, other people walk to the other end of the room or start talking to the “normal” person beside them. This entry was posted in Jen, rescued pets on May 19, 2010 by yourfriends. This is Andre, Jen’s new bunny. He is a 1 year old Flemish Giant. He weights 12 lbs! This entry was posted in Andre, Flemish Giant, Jen on April 22, 2010 by yourfriends.